Sometimes it is worth taking a risk when growing oddities. And sometimes it is not. 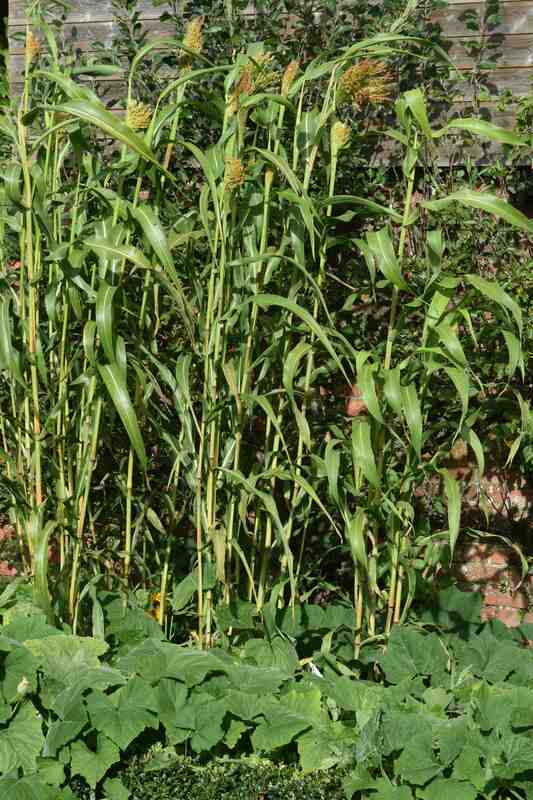 I have a nasty feeling that this year’s dalliance with broom corn is not going to end well. So why did I bother in the first place? 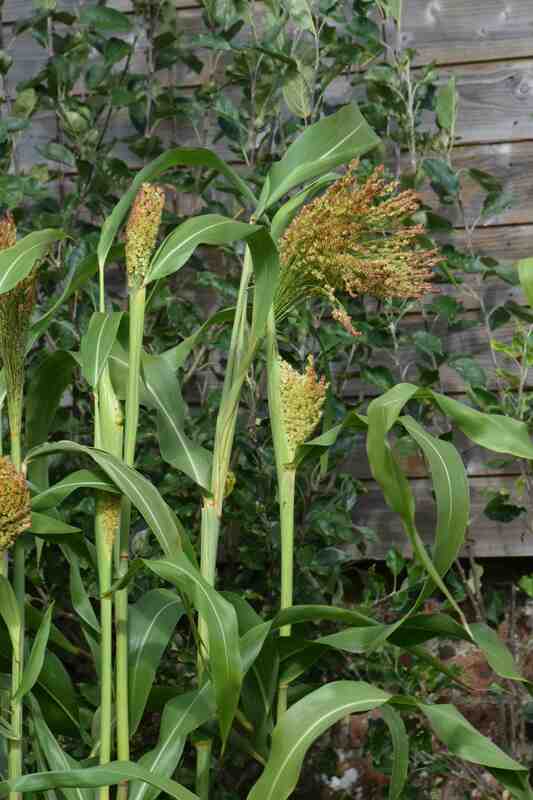 Well broom corn is a plant that is more often grown in the USA than Ireland and it is a form of sorghum (Sorghum bicolor) that may have been developed in Italy and is Sorghum vulgare var technicum. In the USA it has a long and venerable history used to make beautiful handmade brooms. It is an annual grass that grows to about 3m of more high and each plant produces several stems. When grown for broom production the plants are sown in two rows and, before the seeds have fully developed the plants are bent over against each other to form a ‘table’ to make sure the flowerhead fibres are at the perfect combination of strength and flexibility. 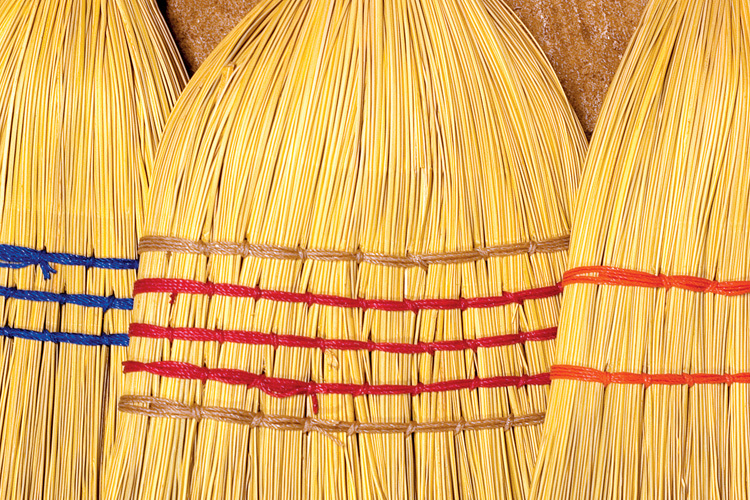 It takes about 60 seed heads to make a broom. There is no way I was going to have enough to make a broom but the seed heads are useful for making wreaths and for floral decorations. I sowed the seeds in cell trays and thinned them to one seedling per cell and planted them out in June but they had a bit of a poor start. But they have slowly developed and most are now about 2.4m high with multiple stems with flower heads developing. They are very attractive, tall grasses and we will see how well they look when dried. I have used some heads ‘green’ in bunches and they look good so have paid their way in the garden so far. But, not all went well! 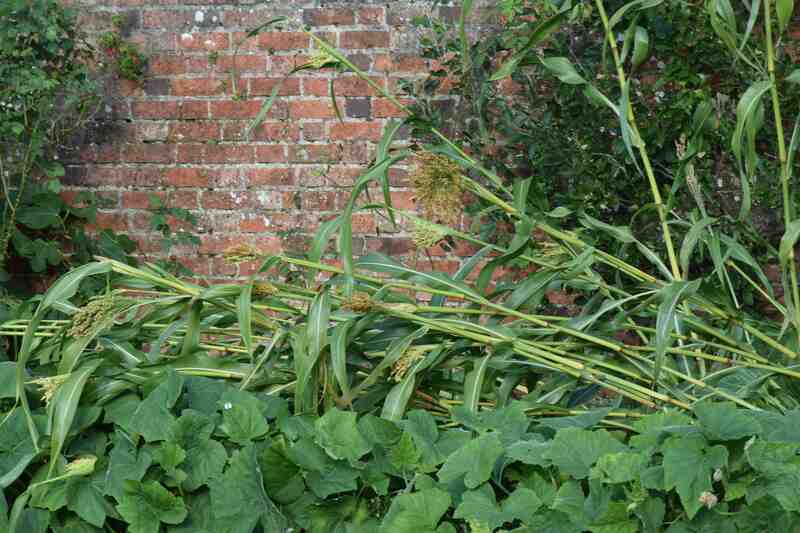 We had some fierce winds and rain at the beginning of the week which felled the tall plants. It was but I knew I was unlikely to get them to mature for brooms. They will be OK for arrangements I hope.